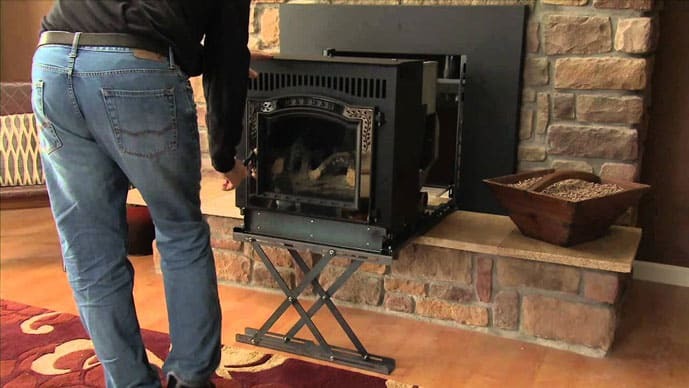 →What Do You Need to Know About Pellet Stove vs. Wood Stove? 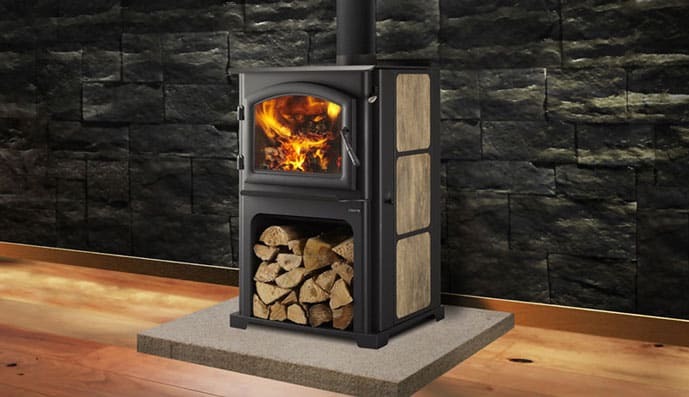 What Do You Need to Know About Pellet Stove vs. Wood Stove? So, you are familiar with the fact that wood is the original energy source, right? In fact, since prehistoric times, humans have kept warm through burning it. And in these modern days, there could be more efficient, safe and effective ways to burn wood for a household warmth. In connection to that, the idea behind warming a house with a wood-burning appliance could fall into two categories: pellet stove vs. wood stove. Of course, we will tackle some exciting facts, either differences or similarities, throughout this post. What is Pellet Stove? Wood Stove? For those who are looking for a regulated and thermostat controlled, reasonably green and easy to use an alternative form of heating, you can consider the pellet stove. Well, a pellet stove works by feeding biomass fuels or the pellets that are filled with organic and combustive materials, automatically into a self-igniting firebox, then fueling that flame with a fan and blowing the heat through the external vent. Yes, the body of the pellet stoves gets hot, they don’t get as hot as the wood stoves. Automatic Heat Regulation. Indeed, a thermostat goes a long way mainly once you’re just trying to heat a small house or a couple of rooms. You need to set it to 70 degrees and let the unit do the rest of the work. Easy to Use. You only need to drop a bag of pellets in the hopper, turn the stove on and walk away for about four to twelve hours based on the size of the hopper and the amount of heat you want to create. Clean Burn. Let’s assume you are using dry pellets that are made of quality ingredients. With that, the pellet stove must burn hot enough to stay clean, and the result is considered to be carbon neutral. It might be a daunting task to find high-quality pellets based on your location, so be ready. More Likely to Break. You should know that there are many working parts in the pellet stove, and these parts increase the chance of malfunction. Though you have a reputable or top of line brand, there might be a possibility of replacing parts in a pellet stove vs. wood stove. Electricity. Since it uses a thermostat, a couple of fans and an automatic feed, the pellet stove would use power. I am not saying that you are not to use electricity with wood stove, but once looking for an “off the grid” heating option, a pellet stove isn’t ideal. Looking for Pellets. As said earlier, it could be a major hassle to find pellets. They should be purchased and must of high quality, or they would coat all the breakable parts with creosote. Meanwhile, let’s talk about wood stoves too. A wood stove or referred merely as the wood burner is considered as a heating device with an ability to burn wood fuel or wood-derived biomass fuel like sawdust bricks. In general, wood stove consists of a solid metal closed firebox, that is often line by firebrick and one or more air controls that could either be automatically or manually operated based upon the stove. It is being linked by ventilating stove pipe into an appropriate flue, that would fill with the hot combustion gases if the fuel is then ignited. The flue gases or the chimney should be warmer compared to the outside temperature in order to make sure that the combustion gases are being drawn out of a fire chamber and up the chimney. High-Efficiency Rates. There is the fact that an open fire offers a heating efficiency of about 32%, but wood stoves are providing efficiency rates of between 60% to 80%. Low Carbon Emission. It is being calculated that burning of wood will produce 0.008kg of CO2 per kWh. Great Savings. The wood stove could contribute to saving costs on heating by up to 50%. Reducing the dependence on other heating source fuels such as coal, electricity or gas wherein the prices of which are set to rise soon. Needs a Significant Storage Space. It might consume bigger storage space that might not be appropriate for everyone. There could be a matter of relatively high purchasing and installation price. Fuel Prices. The prices on wood logs, chips or pellets might put further strains on the budget allowance making it less attractive than other heating systems that are using renewable energy as a heat source. Indeed, it is best that you are familiar with what pellets stoves and wood stoves are, along with their offered pros and cons. With that, it would be a bit easier to compare pellet stove vs. wood stove, resulting in an appropriate decision after all. Both pellet heaters and wood heaters look the same, and they could perform a similar role too. The pellet stoves would come in both an insert and freestanding style and are perfect options for heating a home, a shed or some other similar areas. Well, gone are those days wherein the pellet stoves looked like unpleasant and industrial heaters. Most of the newer ones today look very contemporary and could fit in with almost any décor. On the other hand, regarding style, wood stoves come in both the insert and the freestanding style and would also suit in heating most sheds, homes and more. Also, wood heaters are designed in numbers of different styles, and there could always be one that compliments the look of your home. If you have freestanding pellets, then they could be placed in any location in the house since it doesn’t elaborate exhaust system to emit the residual gases. Instead, it produces as you are burning the pellets on the stove. Furthermore, the said kind of pellet stove renders less amount of toxic gases and smoke. The air would remain clean and clear, so keep the stove in a room wherein you love to spend most of your time. However, pellet stove inserts and wood stoves would require a particular chimney or heat shields to emit the gases it produces. There is a need for you to pick a specific plate which could set up or install the said chimney system. Hire a professional in the said field to check once the home is capable of setting a wood stove. Or else, you have to put it outside the home or patio. It might be hard to answer which one heater offers a better heating performance because it depends on the quality and size of the pellet or wood stove is installed. The first thing to consider is to choose the right size. Though you are tempted by buying the biggest wood heater, take note that it isn’t a good idea. A too big wood stove would lead the heater being turned down at its lowest all the time leading to the wood fuel burned inadequately as well as costing more in the long run. So, the variables that are involved in the wood stove would mean that providing an exact efficiency number is guesswork at best. There will be variable heat output, and it would depend on the kind of wood fuel being used, along with the amount of air allowed into the fireplace itself and more numbers of other factors. On the other hand, pellet stoves have a very controlled burn environment in the burn pot, and this would allow the efficiency to be accurately measured. With that, in pellet stove vs. wood stove, the former one offers higher ability making its heating performance superior over the wood stoves. With regards to a power source, wood stoves would work as a fireplace. There is only a need to feed the firewood in the wood stove, so there is no power source such as electricity being required. But, pellet stoves would need a constant electricity supply to run the blower fans, motorized hopper, and the controllers. See Also: Best Portable Electric Stove. The initial costs for the pellet stove or wood stove are the same as far as the central unit is concerned. And it’s a matter of design and style which appeals to you and picking the right size of stove suitable to heat the living area. The installation guidelines and the codes are also similar with either type of wood-burning appliance. However, there could be differences when it comes to connections costs. The wood heat stoves would need a full insulated chimney system which must extend above the roof peak. And some other pellet stoves would only require a direct-vent or a smaller chimney system that is easier to install and cheaper so reducing the connection costs too. 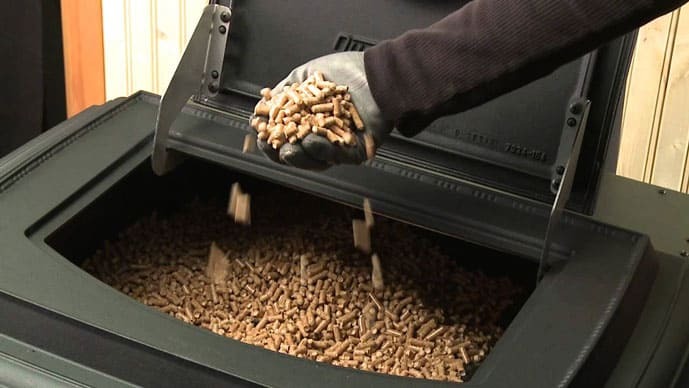 Compared to wood heating stoves which could burn firewood as well as wood scraps, the pellet stove could only burn pellets like special fuel composites or wood pellets. Since the availability and the cost of firewood, as well as fuel pellets, vary in various areas, there is a need to compare the value of the full cord of wood and that of pellets. You should also consider how long every volume would last in order to create a proper comparison. In most cases, each pellet bag has 40 pounds of pellets. And the BTU output of 13.6 million per ton would make it the most efficient fuel source for the fire. Indeed, a pellet stove could make you warm as well as cozy for almost 65 hours without any interval. And that could be a life-saving machine, particularly during winter. In fact, you could get a pellet stove having an efficiency rate between 70% to 90%, and EPA certifies this efficiency rating. In contrast, the wood stove efficiency has been improved compared to the older days. These days, you could easily find a wood stove which has an efficiency rating of around 70% to 75%. And the ability definitely depends on the types or models of wood stoves as well as the quality of the woods used to burn. In most residential areas, numbers of households would burn fuel at low smolder as to avoid overheating at home. And so, this waste a certain amount of fuel and leads to pollution in the area too. If you are to burn woods, it creates lots of smoke and produces some deadly gasses such as carbon monoxide, nitrogen oxides, carbon dioxide and some organic gases. They would directly affect the environments and also the greenhouse gas. Temporarily, pellet stoves would generate no smoke or little based on the EPA standard or grade of the pellets. So, pellet stoves are eco-friendlier and more useful to our lives. Now, a wood stove could make a hazardous situation because it ejaculates flame sparks which could burn in the human body. Imagine a worst case scenario wherein the sparking the flame which comes out from the stove could catch fire in the carpet or curtain. Suddenly, it could create massive fire and could lead to a fatal accident at home. In order to prevent the said kind of unwanted situation, using a smoke detector is advised. It would alert you once any strong smoke is detected in the room. And also, you should use floor protector on the carpet. In the meantime, the burning of pellet stove happens in the burn pot that is being protected by glass. So, the flame sparks couldn’t be given off from the stove quickly. With a pellet stove, burning is very safe and clean. It will not create such sparks, and you might even touch any parts of the exteriors of the pellet stove. Just make sure you’ll wear gloves before reaching it. So, there you have it! 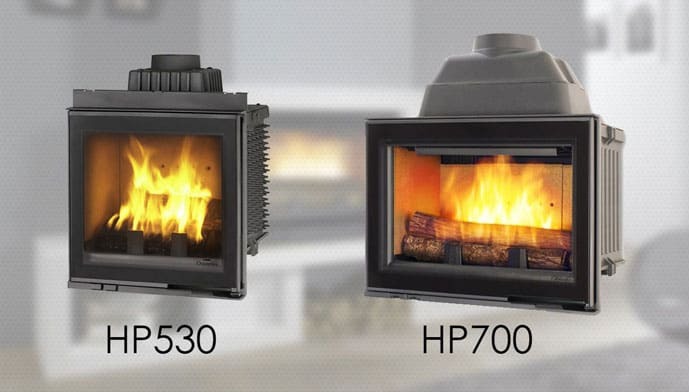 From the pellet stove vs. wood stove comparison, which one would you prefer to have? Would it be a pellet stove or the wood stove? Well, sure enough, you need to weigh down the pellet stove pros and cons or the wood stove and make sure that it would suit your needs and preferences. Either of the two, there will be both benefits and drawbacks when it comes to bringing warmth to your house! See Also: Best Tea Kettles For Your Gas Stove. Liked this post? Feel free to leave your comments below!